Clark has finally fulfilled a life long dream of working for The Cavern and moving to the ‘Pool. Growing up as the son of Stars In Their Eyes contestant and Paul McCartney impersonator, Lawrence Gilmour, Clark was hooked on Rock ‘n’ Roll from an early age and had seen the likes of Carl Perkins, Gerry Marsden, The Merseybeats and the Swinging Blue Jeans, as well as Macca himself, before even picking up a guitar. The first song he learnt was Buddy Holly’s ‘Oh Boy’ and his first gig was performing ‘Maxwell’s Silver Hammer’ on a bill that featured Jet Harris of The Shadows. Becoming a Beatles tribute artist was an inevitable career path and after the dissolution of his own band, The Down & Outs, in 2009, Clark initiated the steps to find likeminded mop tops and started Them Beatles, playing the role of John Lennon. Known for their huge repertoire of hits and obscurities, and strict attention to detail, Them Beatles went on to have 7 successful years touring the world and playing International Beatleweek on five consecutive occasions from 2012-2016, including headlining the Liverpool Philharmonic in 2013. 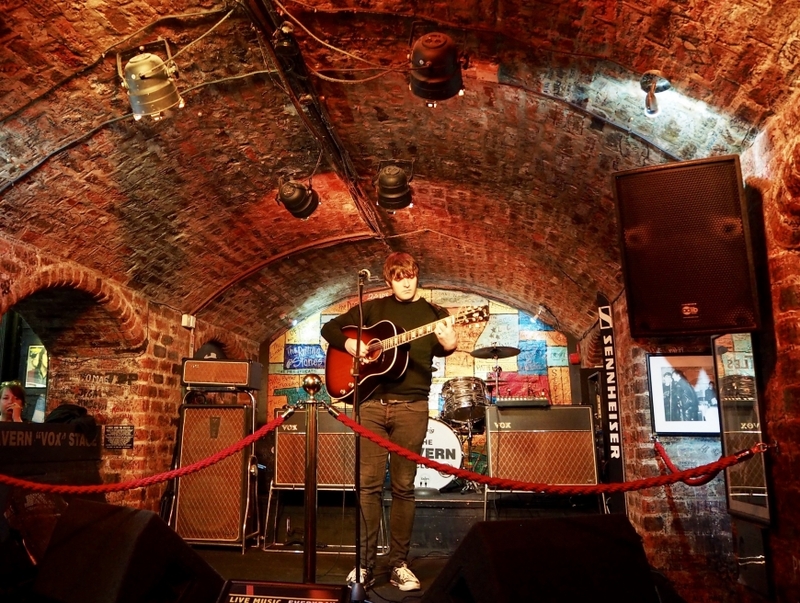 At the end of 2015, Clark took over the role of Band Liaison for International Beatleweek 2016, bringing him to Liverpool, where he can now be seen performing on Monday, Tuesday, Wednesday, and Thursday playing all things Beatles related as well as a mix of his other favourite artists old and new. Check What’s On for more details.